Police report officers were on foot patrol on Fifth Street in Statesville when someone stepped out of the shadows and shot at the officers. 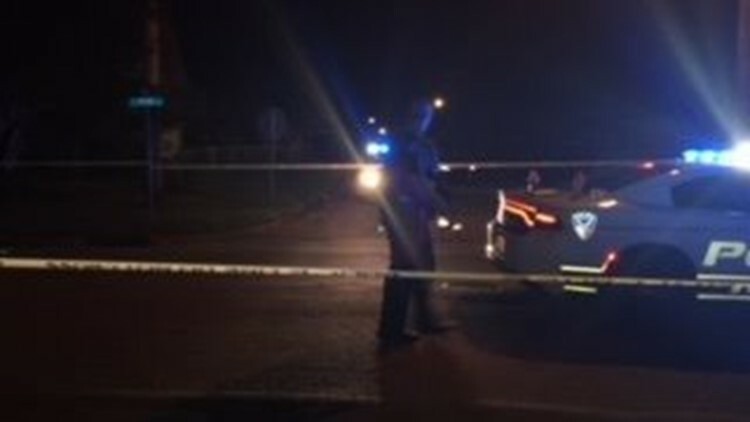 STATESVILLE, N.C. -- A police officer was shot in the back by an unknown suspect late Friday night, according to the Statesville Police Department. Statesville Police said the officers were on foot patrol on Fifth Street in Statesville when someone stepped out of the shadows and shot at the officers. Police said Officer Tyler Horn was hit in the back, but his bulletproof vest stopped the bullet. Ofc. Horn was taken to Iredell Memorial where he was treated and released. A neighbor told NBC Charlotte he heard multiple shots from inside his home. "I was inside watching TV and I just heard, pow-pow-pow-pow," he said. "What did you do?" asked NBC Charlotte's Rachel Lundberg. "I just went to the back door and looked out. I didn't see no body nowhere. So I came back in the house thinking somebody is firing a gun," the neighbor said. Statesville and Iredell County Sheriff's Office are investigating the shooting. Sign up for WCNC NBC Charlotte’s 5 Things to Know newsletter and get the latest in your inbox each morning.